I’m in Europe now, and South America is in my rearview mirror. (Epic montage video in the making...) But, I never got a chance to blog about the Inca Trail to Machu Picchu, which lives up to the hype in so many ways. We chose the 4 day trek with Valencia Travel, which I definitely recommend. The hike is really expensive (~$680) compared to other South American adventures, but you’re paying tourist prices, and treading on sacred Incan trails. Only gripe with the whole Inca Trail, is that even though you pay tourist premiums, you do NOT get premium toilets. Expect to squat in gross stalls for the majority of 4 days. The 4 day trek takes you through several different micro-climates. You start in the dry forest on day 1 and trek into the alpine tundra and the cloud forest on day 2, and then into some tropical rain forest jungle like areas on day 3 and 4. Thankfully, we didn’t get rained on. I guess the Incan Gods were on our side. The food is phenomenal! 3 x 4 course-meals a day. Each meal starts with a delicious side like a guacamole plate or mushroom ceviche. Usually, you will have a fresh fruit agua fresca to go with it, like papaya, or pineapple. Then, they almost always give you a delicious steaming hot soup, followed by a heaping plate of mixed veggies, and a meat and plentiful-carb meal. The food is cleanly cooked, never heavy and creatively prepared. One day we had thai beef with mixed peppers and onions. I’m amazed at what our cook, “Juan de Dios” can prepare while camping. One night, he brought us flambeed bananas in Pisco for dessert. I ate better in the 4 days on the Inca Trail than I have all 4 months in South America! Day 1 is dubbed as an ‘easy’ day, but I think most of us realized that our packs were heavier than we thought, and this might not be as easy as we thought. The elevation is ~11,000 - ~12,000 feet and while we were pretty acclimated by this point, the trail features a lot of uphill and downhill, uneven stone steps. (Not to mention, the bus picked us up at 4:30am, and because I was jamming on work deliverables, I went to bed around 2am) By the time we got to our Day 1 camp, I fell asleep immediately. Day 2 is the ‘hard’ day and it was challenging for sure. The first half of the day is an unrelenting 900 meter climb. It was beautiful. When you get to the top of the climb, called Dead Women’s Pass, the views on both sides are breathtaking. One of the main attractions on the Inca Trail are the Incan ruins...intricately designed settlements that are partially grown over by lush vegetation. Seeing these reminds me of video games like Drake’s Uncharted or Tomb Raider. And, it’s mind blowing to think of people living in them so many centuries ago. Some of our porters, or "chaskis", who carry the tents, food, gear, etc. Trail is starting to get a tropical feel at the end of Day 2. Our Day 2 camp in the Cloud Forest was spectacular. We had the best campsite, with picturesque views of the faint mountain ranges disappearing into the mist in the distance. This was a huge highlight of the trip, even though it was the coldest night by far. It’s ~13,500 feet up in the mountains and temps got to -6C. When we woke up, there was frost on the ground and it took a while to de-thaw my digits. The normal 4 day trek has you arrive at Campsite 3 around lunchtime, go to bed early, get up at 3am, and embark for Machu Picchu at ~4am in order to arrive at the landmark for sunrise. But, our group was so fast (Our guide Victor kept calling us “Speedy Gonzalez”) that we were offered the option of pushing through on Day 3, and making it to Machu Picchu for sunset. This would mean that we would not camp out on Day 3, but rather have to purchase rooms ($15 USD) at a hostel in the Machu Picchu town of Aguas Calientes. The benefits were: seeing MP at sunset AND at sunrise; seeing MP at sunset when there were FAR less people; getting to MP at sunrise earlier than if we hiked, therefore FAR less people; and getting a hot shower and warm bed at the hostel after 3 hard days or trekking and 2 nights of cold weather camping. I personally was so happy we decided to push through. Machu Picchu is a bucket list type of thing, and I don’t know if I’ll ever make it back. Might as well try to maximize the time we had while we were there. I got amazing photos at multiple times of day, different types of light, and it was FAR less crowded in the early evening then the following day, when we encountered Disneyland-esque lines. MP is not like the ancient pyramids, where there's a mystery of how they were built. There is a huge rock quarry at the top of the mountain, and we know it took them ~60-70 years to build the village in the 1400s. The mysticism of Machu Picchu is due to the fact that during the Spanish Conquest, Machu Picchu was never discovered and ruined, like most of the other Incan Empire villages. Most likely, the Incan people abandoned the area when the Spanish conquered their Empire, and the village was empty and unknown for hundreds of years before it was re-discovered in the early 1900s. And, Machu Picchu is simply beautiful. Built on the top of the mountain, it has this unbelievable charm and essence that cannot be described. The Incan people worshipped the Sun, and they constructed the village around the cycles of the Sun, with some of the temples having windows that perfectly align with the solar equinox and changing of the seasons. Brilliant construction and knowledge of astronomy way back then. Incan Sculptures mirror the mountain ranges. BRILLIANT. If Machu Picchu is on your bucket list, I highly recommend visiting. It lives up to the hype. 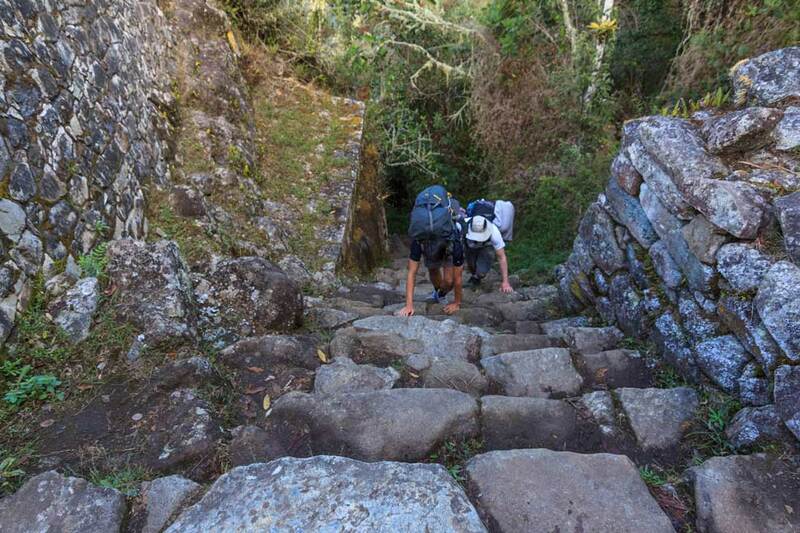 If you're adventurous, the Inca Trail 4 day trek may be a good option. There are also 2 day treks. And, other non-Inca Trail treks like the Salkantay Trail, which is much cheaper, but lacks the Incan ruins and settlements. Just go. You won't be disappointed---except with the bathroom situations.